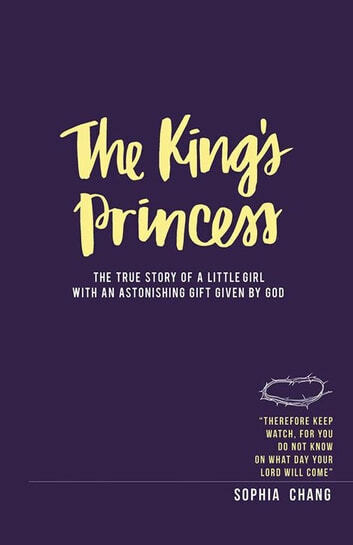 For many years, Sophia Chang had a hard time explaining to people how God had gifted her differently at the age of thirteen-year-old. A gift that made people see her as the devil, a mental child and a liar yet through all the suffering and hardship, she stood by her faith. So how can a thirteen-year-old girl, now eighteen, find the courage and strength to look straight and never stray away? A passion to follow her Heavenly Father. The Kings Princess invites readers on a journey to finding faith through all hardship, suffering and doubts. 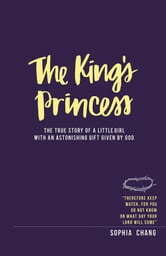 This is a thirteen-year-old girl journey to finding what it means to carry her own cross and following Jesus Christ despite all hardships and trials that comes her way.